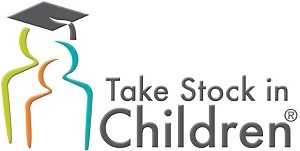 Pasco Hernando State College Take Stock in Children Pre-Collegiate Program awards a College Scholarship and assigns a Mentor, and College Success Coach to deserving students in Hernando County. Our program helps to ensure that students graduate from high school with the knowledge and skills they need to complete their postsecondary education and to successfully enter the work force. Fund-raising is our response to ensuring more scholarships can be awarded. Thank you for deciding to Take Stock in Children. Registration begins at 7:30am and race begins at 8:00am. Registration includes a T-shirt and Goodie Bag. There are no assigned parking areas or fees for the event. There will be designated parking by disabled permit for participants who need them. Please park according to signs located in parking lots. Drive safe, park safe. Participants may bring drinks and snacks for the race. Participants will be required to sign a wavier permitting them to take part in the event at the PHSC College Campus. Security will be on the premises during the event.